Caps can be purchased with no decoration, with our in stock patch sewn on free (you pay for the patch), or with your personalized custom patch or your supplied patch sewn on for a sewing fee. 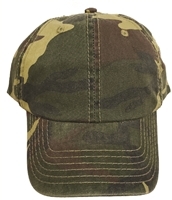 h1011 - acrylic high profile cap (hat) with hook & loop belt adjust. 0115-01 - Brushed black cotton raging flame cap. One Size Fits Most hook & Loop belt adjust. Most patches can be sewn on. 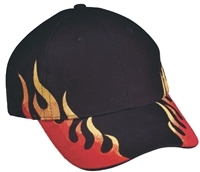 0130 - Black cap with side flame or fire embroidery. Hook and Loop belt adjustment. 0124 - Cotton 5 panel cap with a plastic one size fits most size adjust. Printable front. All have a white crown. Black, Royal Blue, Navy Blue, Red, or Kelly Green visor. We sew IN STOCK patches on free. 0124 - Cotton pro-style cap. Mixed Hook & Loop belt adjust or plastic snap adjust. We can sew most patches onto these caps. We sew IN STOCK patches on free. 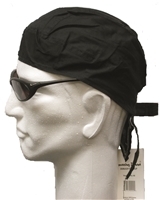 Designer ski cap but also used by campers & fishermen. Quilted nylon cap with ear protection that can fold up & a chin cord. Elastic back fit means it will fit children, women, & most men. 0112 - Cap with fire-flames on the visor. Hook & Loop belt adjust. 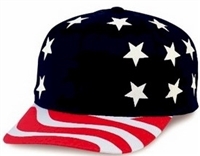 Black cap & red flames, Black cap & silver-grey flames, Black cap & US flag style flames, or Pink cap & pink flames. We sew IN STOCK patches on free. 0174-CAMO - low profile cotton camo cap. Hook & Loop belt adjust. 0174 - Low profile cotton cap. Hook & Loop belt adjust. 0174K - low profile cotton cap (hat) for kids 3-6 years of age. Patches to about 2.5" tall can be sewn onto the front. 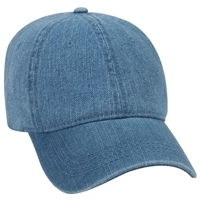 0174-99 - Low profile denim cap. Garment washed, pigment dyed soft six panel and unstructured. Matching color undervisor. Matching fabric adjustable belt with metal buckle that inserts in sweatband. One size fits most. Poly-Mesh "trucker" cap with gold scrambled eggs embroidered on the visor. 0131 - Poly-Mesh "trucker" cap with gold scrambled eggs embroidered on the visor. Plastic One Size Fits Most snap adjustment. Super Stretch knit beanie cap. Made in USA. Heavier than #182. 0189-01 - Super Stretch knit beanie. Thicker, bulkier, & heavier than our standard #0182 knit beanie. Made in USA. Color: Black. 0111 - Poly-Foam front, polyester cap. Nylon rear mesh panel for ventilation. Plastic snap back size adjust. We sew IN STOCK patches on free.